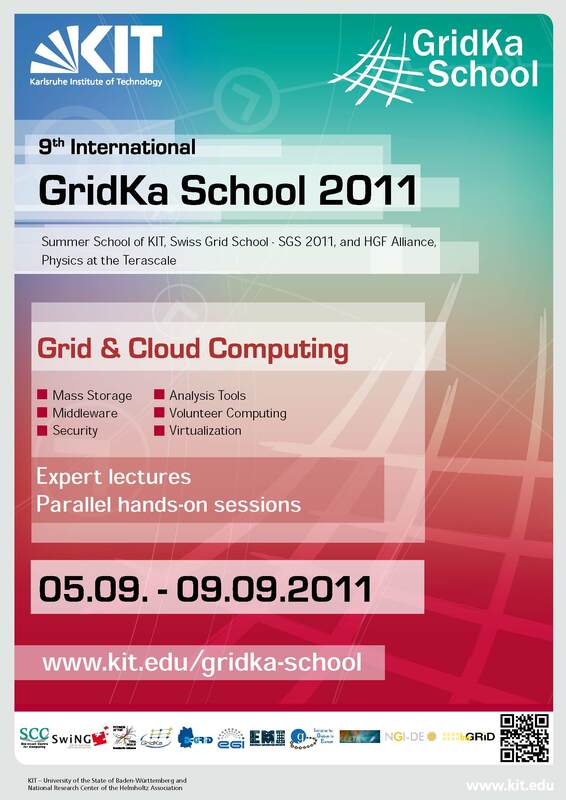 The Swiss National Grid Initiative (SwiNG), the Karlsruhe Institute of Technonolgy (KIT) and the Helmholtz Alliance ‘Physics at the Terascale’ organize the GridKa School 2011. GridKa School offers a broad range of topics, which are chosen from the realm of these projects and beyond. 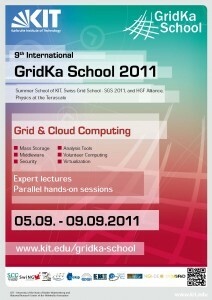 The school is hosted by Steinbuch Centre for Computing (SCC) of KIT and is scheduled for September 5th to 9th. It cooperates with the European Grid Initiative (EGI), the European Middleware Initiative (EMI) and the Initiative for Globus in Europe (IGE).